What kinds of tickets get your attention and why? One thing we can do every day to draw near to God. What hallmark of the Christian life should we show daily? Purging this out of your life can help maintain your fellowship with God. 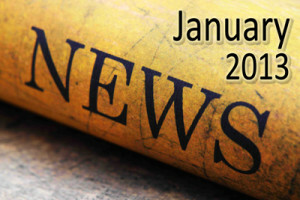 What old news is the best news to give out this year? Sometimes, you just know when something is going to be exciting. You just feel it down deep. I really feel that 2013 is going to be loaded with fascinating events! Anyone who said that on January 1, 2012, about the year, would have been very correct. And I truly believe that 2013 will be another momentous year that none of us will forget. I think it is going to be an interesting “new” Year! om Jesus and choose new gods, eventually, war will show up at the gates of our lives. I just watched a YouTube video of a man who was given tickets for Christmas to the Alabama and Notre Dame National Championship game. When he saw the tickets, it literally brought tears to his eyes. The things of the world are passing away, people. Shouldn’t we be more excited that we have a ticket to Heaven when we die than tickets to any event here on Earth? What about excitement over giving away as many of those tickets stamped in the blood of Jesus Christ to the lost as we can? Make sure the only God you have chosen for the coming year is Jesus, and put all those other gods to the side. When the Jews brought back the ark of God, it was in a new cart. I don’t think that just means a new one being different from the old one. I think it was a brand new cart for the ark. When you see them here singing and dancing before the ark, they are in essence giving God their best. Not their second best but their best. When 2013 has come and gone, will you have given God your best, or your second best all year? When God works in your life, does it spill out into the lives of others? Make sure you sing His praises all throughout this year, and make sure many can hear it from your lips! It will lead to people trusting the Lord! Never forget that there is really nothing new under the sun. So let’s make sure we give some really good old news to people this year: He was born, He died on the cross for your sins, and He rose from the dead to not only show that He conquered death, but so also will you and all those lost people you talk to this year. Anyone looking forward to a new Heaven and a new earth one day? Give it to me now!! Remember that we don’t have a yearly faith, but a daily faith. His mercies are new every morning. We need to be drawing closer to Him every day. How often do we read our Bibles? That’s right, daily! Remember to read your Bibles through front to back this year. It is one of the best things that I have ever done with my time, and I do it every year. Anyone thankful for the new covenant? That we can go right to Jesus and Jesus alone for the forgiveness of our sins? Anyone notice that He’s waiting for us to arrive in heaven? Amen!! Make sure love is one of your hallmarks as you live out 2013. Purge the sins and false teaching from your life, daily. Make sure that if you see December 31, 2013, it was the holiest year that you have lived yet on planet Earth! Anyone thankful to be a new creation of the Most High God? Jesus is in the business of making all things new. That is what He does. But remember, this is no game to the lost who die without repenting of sin and receiving His saving grace. This is no joke. There is no do over. Hell is a real place that they can’t get out of. And you and I should want to do something about it! I am always excited about the New Year! It’s a new dawn, and it’s a new day! New places to go, new people to meet, and new lives to touch for the Lord. Make sure 2013 will be an unforgettable year in your life and an unforgettable year for those you cross paths with as well!